Soft, luxurious and a worthy investment in getting a great night's sleep, this range of 400 thread count linens is crafted from sumptuous pure cotton with a plush sateen weave that gives this bed linen a super soft and silky feel for a exquisite handle and sensational feel. 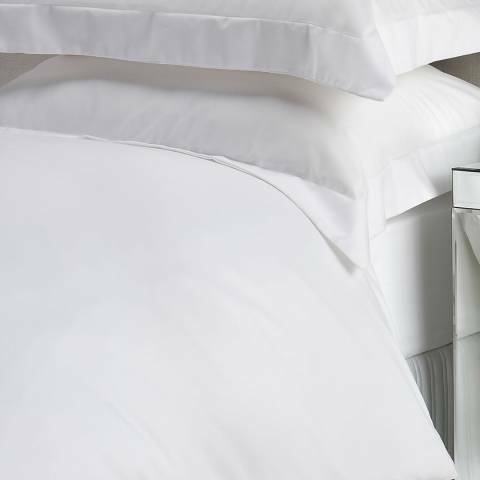 As well as having a lovely handle and drape, cotton sateen bed linen is easier to iron than cotton percale, making this range of linens the perfect addition to your linen cupboard. A staple shade in crisp white, pair the full range of duvet cover, sheets and pillowcases for a co-ordinated look.